Welcome to today's edition of Nerd Alert, where we have all the quirky, nerdy news that you crave in one convenient spot. What do we have in store for you on this phenomenal Friday? Big Hero 6 gets an alternate ending, Straight Outta Compton's Jason Mitchell portrays the first black person in a Nancy Meyers movie and everything wrong with Interstellar, featuring Neil DeGrasse Tyson. But first, just in time for Halloween, we have a 10-foot tall Hulkbuster costume from Avengers: Age of Ultron and every Jean-Claude Van Damme kill ever! Sit back, relax and check out all that today's Nerd Alert has to offer. 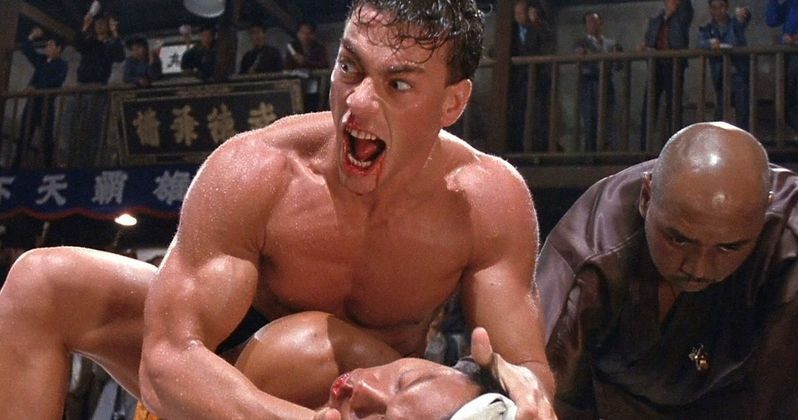 Youtuber Benjamin Combes has taken it upon himself to comb through Jean-Claude Van Damme's extensive filmography and find every single kill scene for one epic 30-minute video. Can you guess how many movie kills his characters have been responsible for over the past few decades? Let us know if you were at all close with your picks after checking out this video. Cinema Sins have enlisted the help of astrophysicist astrophysicist Neil DeGrasse Tyson to break down everything wrong with Interstellar. This video is longer than most of their breakdowns, at 22 minutes, but it's well worth it, especially with Neil DeGrasse Tyson chiming in intermittently to lend some credibility to these proceedings. The Replica Prop Forum shared an incredible video highlighting Extreme Costumes' 10-foot tall Hulkbuster costume from Avengers: Age of Ultron. If you're on the East Coast and want to see this costume in action, the company announced that they will be competing at the Eastern Championship of Cosplay at New York Comic Con on October 10, and you can visit their Facebook page to see video of this amazing costume in action. How It Should Have Ended has a humorous alternate ending for Big Hero 6 that pokes holes in some of the hit animated movie's flawed logic, which even gives the ending a Scooby-Doo-type twist. Of course, Big Hero 6 did just fine with its regular ending, but this alternate ending presents some humorous food for thought. Director Nancy Meyers' latest film The Intern features another star-studded cast, such as Robert De Niro, Anne Hathaway and Rene Russo, but, like most of her movies, there is one thing missing: African-American cast members. Funny or Die sought out to rectify this, by enlisting Straight Outta Compton star Jason Mitchell for a new video, where he's cut into actual scenes of The Intern in a hilarious fashion. If you're in need of a new video list to pass some time today, then Mr. Sunday Movies has his picks for the five best comic book movie costumes of all time. Given the vast amount of comic book movies out there, it's certainly difficult to narrow the field down, but he does have some great choices in this four-minute video. A few months ago, Cinefix put together a fascinating video that features 100 of the most iconic movie quotes of all time. Of course, that's just the tip of the iceberg, so the site has put together another five minute video featuring memorable lines from Star Wars: Episode VI - Return of the Jedi, Gladiator, To Kill a Mockingbird and many more.